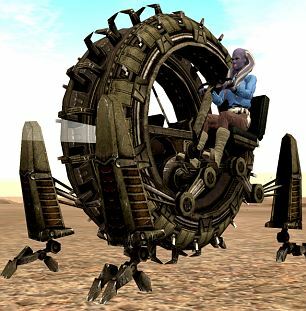 When an evil henchmen flees from Obi Wan Kenobi in Star Wars: Revenge Of The Sith he hops into a futuristic wheelbike to escape. 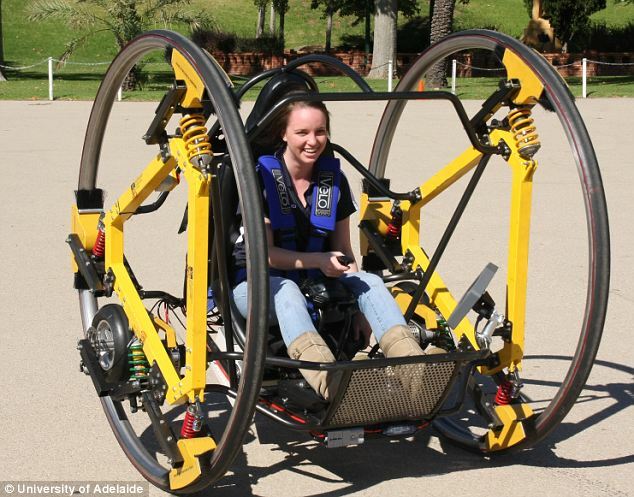 Now this strange-looking vehicle, which places the rider between two giant wheels, has moved from science fiction to reality. 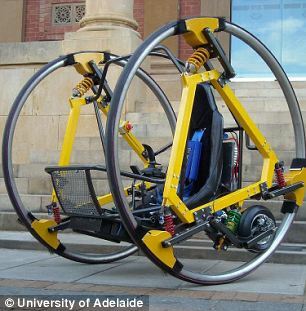 A team of students from the University of Adelaide have created their own version called the Diwheel. 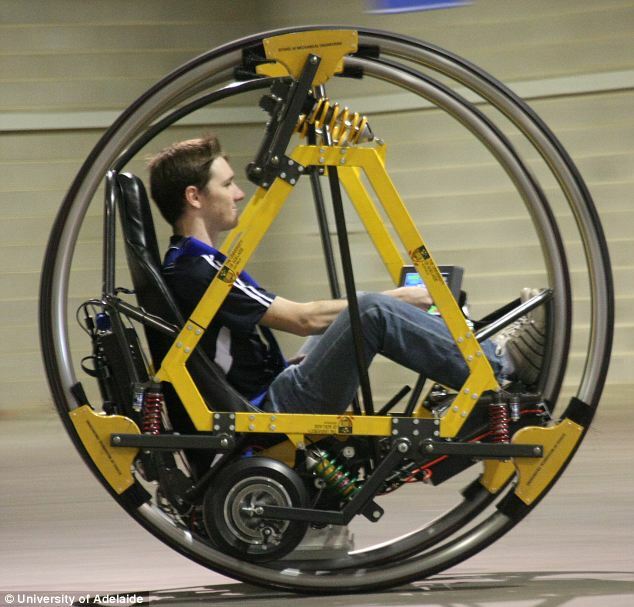 The gravity-defying vehicle has two large wheels that are axially aligned with an inner frame. This holds the driver who is strapped in with a racing harness. A joystick is used to turn it on the spot and drive it forwards at up to 25mph. The bright yellow electric motor is affectionately known as Edward, which is short for Electric Diwheel With Active Rotation Damping. The mechanical design and some of the electronics were completed in 2009 while the majority of the electronics and control systems were developed in 2010. The rider can either lock the inner frame to the wheel using a handbrake for a 360degrees experience known as 'gerbiling' or leave it unlocked for a smoother ride. However, the students found the driver would rock back and forth even when the Diwheel was unlocked while starting and stopping. While this would be perfect for a fairground ride it wasn't ideal for an every-day vehicle. To ensure a stable ride they used mathematical equations of motion to create a computer model of the Diwheel and then used this for numerous simulations. They then built a real-life control system using the findings. Student Jack Parsons, who worked on the project, said: 'Edward not only rocks but it's green too. Those dare devils who fancy seeing the road from a different perspective can even invert the inner frame and drive around upside down. The sealed lead acid batteres give about 1hours worth of juice for 'fairly aggressive driving' including turns and spins, although it would last several times longer in the hands of a careful driver. At present the Diwheel can only climb inclines of 12degrees so while a a trip to the shops would be possible, the driver would need to avoid any hills.